THE car windscreen once just kept wind, rain and dust from a vehicle’s occupants. Today these screens are an integral part of modern cars and should always be in top condition for safety, comfort and roadworthiness. In 21st century cars the windscreen may provide up to 30 per cent of a vehicle’s structural integrity _ that is the approved screen, glued in place, helps keep the roof in place and the body strong. And today many manufacturers use windscreens loaded with technology, from cameras for driver assistance systems, such as potential accident warning devices, and hooking up sensors for the likes of automatic wipers. 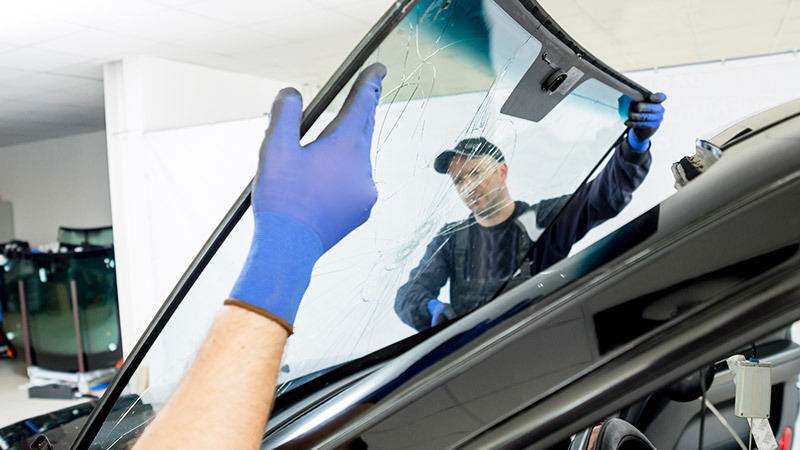 Today’s windscreens are made from laminated glass that should not shatter when broken. These screens also help guide front passengers’ airbags correctly. It is more important than ever to have an undamaged screen up front. Is it illegal to drive with a cracked/chipped windscreen? Anything that affects the safety of a car and its occupants can be deemed illegal under most Australian road rules; that includes everything that interferes with a driver’s vision from dirt to cracks or chips in the glass. The area swept by the windscreen wipers should always be clean and clear. So while a minor crack or a chip - say smaller than a $2 coin - may not be an issue and can be repaired, anything larger could mean a car is unroadworthy and therefore illegal to drive. And any chips or cracks, big or small, in the Critical Vision Area of a car’s windscreen - 90mm from the top of the screen to 65mm from the bottom - may become an issue. How do you stop a windscreen chip/crack from spreading? There is no magic cure-all for a chip or a crack. Some may remain small for hundreds of kilometres, some may spread quickly, almost instantly; ‘super’ glues and clear nail polish won’t last forever, especially in the heat of an Australian summer. And while a superficial chip can be repaired, remember that it will still leave a scar on the glass. So if that damage sits in the driver’s line of sight, or that CVA, it may well be advisable to replace the entire screen. Any questions about the safety, or roadworthiness, of a particular chipped or cracked screen are best asked at an approved repairer found through AutoGuru. How much does a windscreen repair cost? Fixing a minor chip in a vehicle’s windscreen could cost less than $100 and can be done quickly. The cost of replacing an entire screen varies from brand to brand, model to model and region to region. There are variations too if the screen is replaced with aftermarket glass or a more expensive factory windscreen; the latter is recommended where the glass is used for safety technologies, such as cameras and sensors, or the car has a Heads Up Display where instrumentation and information is projected onto the screen in front of the driver. Any cameras will need to be re-calibrated, adding to repair costs. So a new windscreen today may cost from $250 for an older car and through to well beyond $2000; best to check on your insurance cover. Bruce McMahon is a Queensland-based journalist who’s spent a fair slice of his career dealing with automotive matters. His first car was a 1949 Riley Roadster, followed by a mix of machinery from Porsches to Jeeps, Alfa Romeos and Range Rovers through to the current four-wheel drive Mazda ute. He’s driven the Nurburgring and the Tanami Tracks.